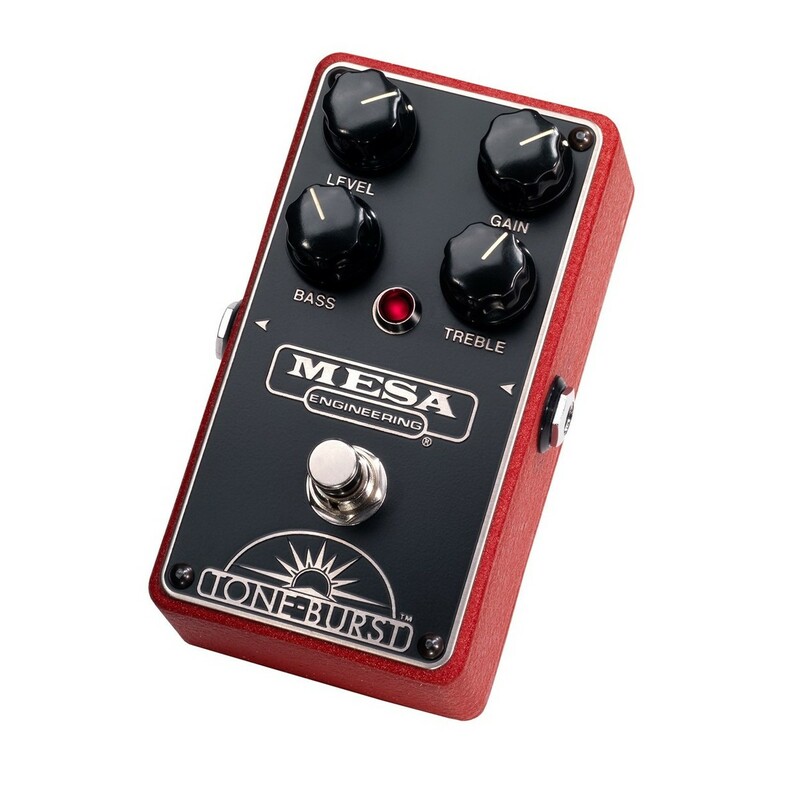 The Mesa Boogie Tone Burst Boost provides the capabilities of both a clean boost and a mild overdrive effect. 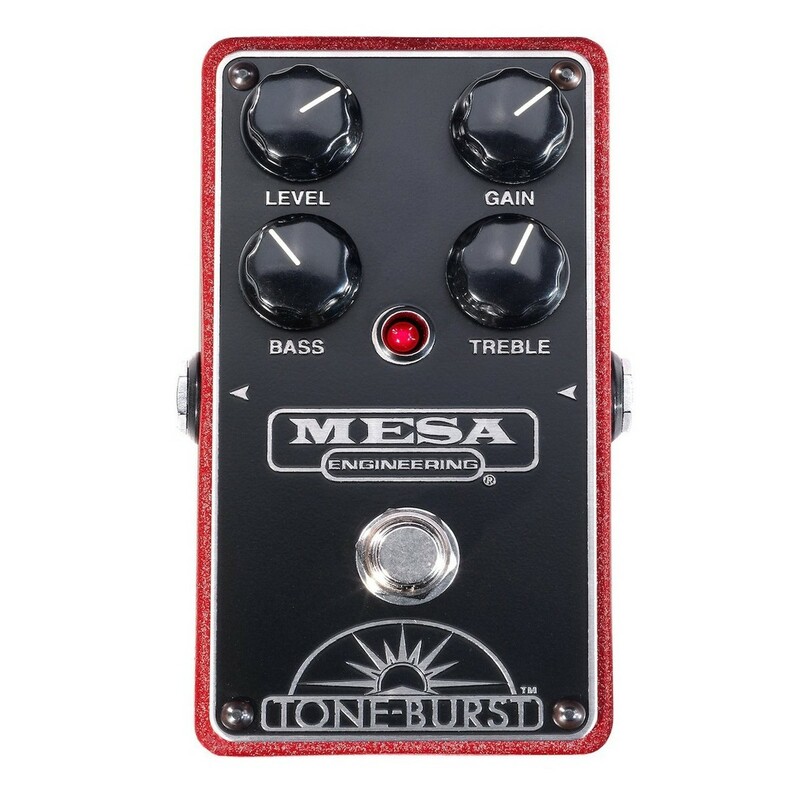 As with all Mesa Boogie effects pedals, the Tone Burst is handcrafted in Petaluma, California and features the premium build quality that Mesa is known for. The Level control allows you to create up to +20dB of clean boost, while the Gain control can create a transparent-sounding overdrive that is perfect for pushing your guitar to the edge of breakup and just beyond. The versatile Bass and Treble controls let you sculpt your tone with up to +/-12dB of boost/cut and help you adapt your guitar to any amplifier. The Tone Burst is perfect for giving you tube amp the additional push it needs to create a singing lead tone, or it can help you crank your clean tone into the beginnings of natural breakup for a raucous rhythm tone. Whichever way you use the Tone Burst, you'll be rewarded with a highly expressive and dynamic addition to your sound. The Mesa Boogie Tone Burst is a low-gain pedal that can be used as a transparent boost or a mild overdrive. The Tone Burst features up to +20dB of clean boost that can push the front end of your valve amplifier into increased saturation, or it can be connected in your effects loop to create a boosted solo tone. The Tone Burst delivers an incredibly transparent and dynamic musical response which is perfect for taking your guitar to the edge of breakup and just beyond - it responds extremely well to both single coil and humbucker-equipped guitars. A Bass and Treble control provides up to +/-12dB of boost or cut, letting you shape your tone and match your guitar to your amplifier. This EQ section can be used as a utility effect when switching between humbuckers and single coils, or it can be used to sculpt your tone. The Tone Burst has a true bypass which means you'll maintain optimal signal clarity when the pedal is disengaged. The pedal is designed and handcrafted in Petaluma, California, and it features the renowned build quality and rugged construction standards that Mesa Boogie is known for.
" Boost is a much misunderstood 'effect', if we dare call it that, primarily because a simple gain boost without any additional overdrive can affect amplifiers in very different ways, depending on how the amp is set. For example, you might want the boost to take your clean signal to a higher clean level, or you might want the boost to send an already overdriving amp further into saturation and compression. The Tone-Burst is a boost we'd recommend to anyone for the quality of its sounds and feel, professional build and versatile control setup: it's a sure-fire winner when paired with any quality valve amp."